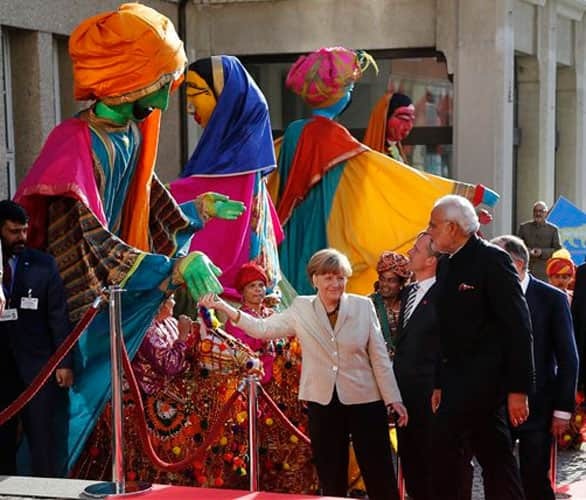 German Chancellor Angela Merkel, center, welcomes India's Prime Minister Narendra Modi, right, as a traditional Indian music group performs at the opening of the industrial fair in Hanover, Germany, Sunday, April 12, 2015. 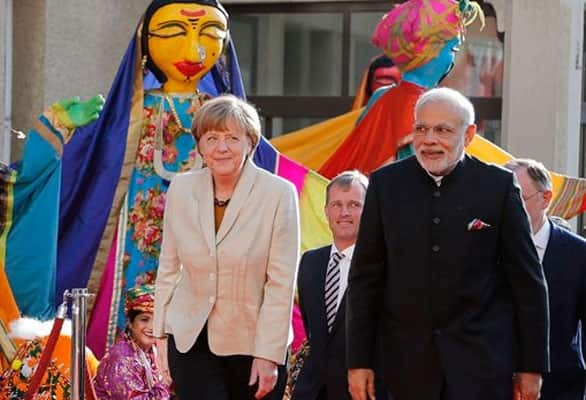 German Chancellor Angela Merkel, center, welcomes India's Prime Minister Narendra Modi, second right, as a traditional Indian music group performs at the opening of the industrial fair in Hanover, Germany, Sunday, April 12, 2015. 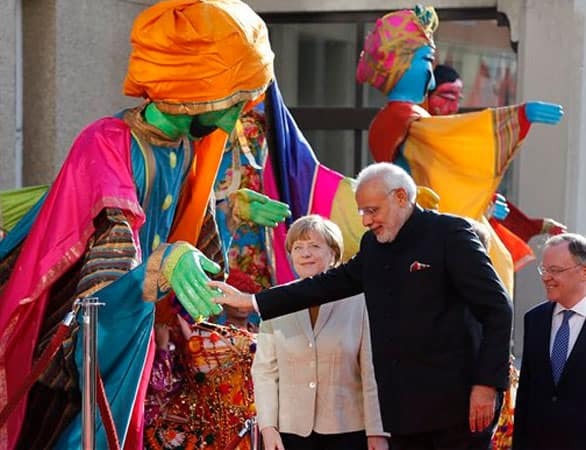 German Chancellor Angela Merkel, left welcomes India's Prime Minister Narendra Modi, right, as a traditional Indian music group performs at the opening of the industrial fair in Hanover, Germany, Sunday, April 12, 2015. 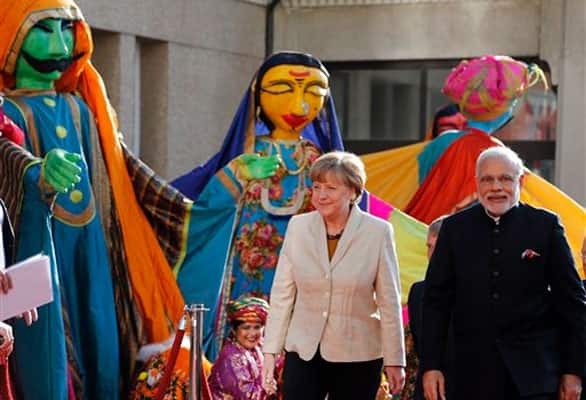 German Chancellor Angela Merkel, left, welcomes India's Prime Minister Narendra Modi, right, as a traditional Indian music group performs at the opening of the industrial fair in Hanover, Germany, Sunday, April 12, 2015. 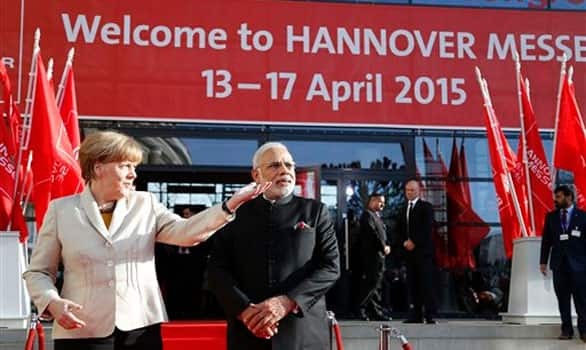 German Chancellor Angela Merkel , left, welcomes India's Prime Minister Narendra Modi at the opening of the industrial fair in Hanover, Germany, Sunday, April 12, 2015. 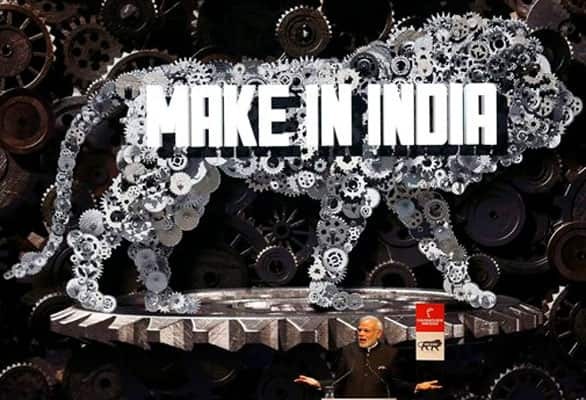 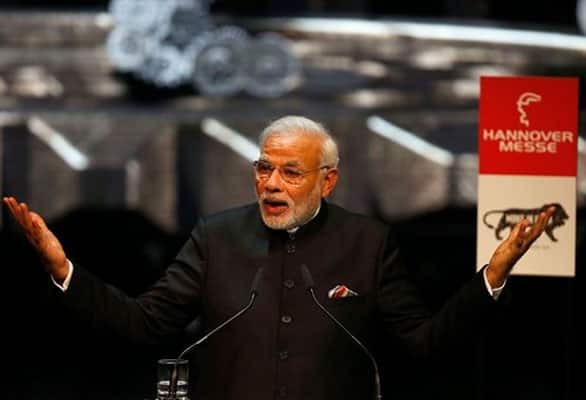 India's Prime Minister Narendra Modi speaks at the opening of the industrial fair in Hanover, Germany, Sunday, April 12, 2015. 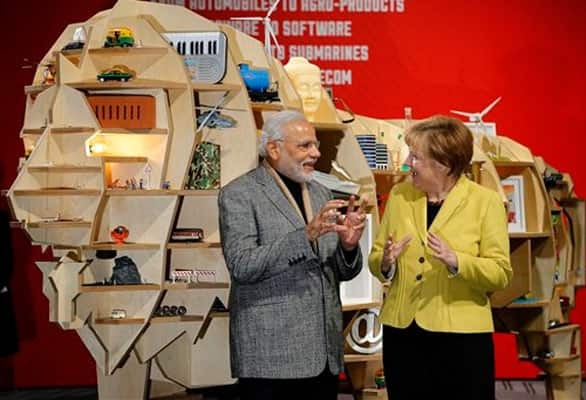 German Chancellor Angela Merkel and India's Prime Minister Narendra Modi chat at the India booth during the opening of the industrial fair in Hanover, Germany, Monday, April 13, 2015. 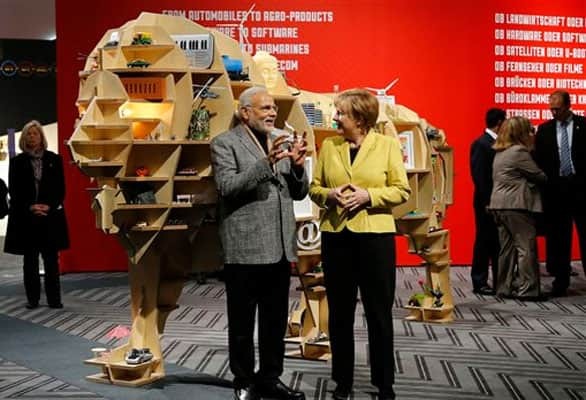 German Chancellor Angela Merkel and India's Prime Minister Narendra Modi, left, chat at the India booth during the opening of the industrial fair in Hanover, Germany, Monday, April 13, 2015. 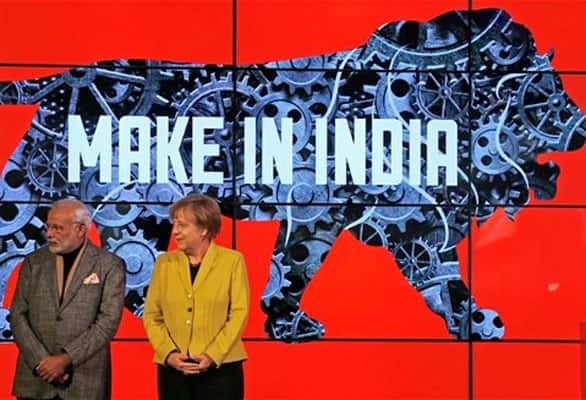 German Chancellor Angela Merkel and India's Prime Minister Narendra Modi, left, stand on the podium of the India booth during the opening of the industrial fair in Hanover, Germany, Monday, April 13, 2015.